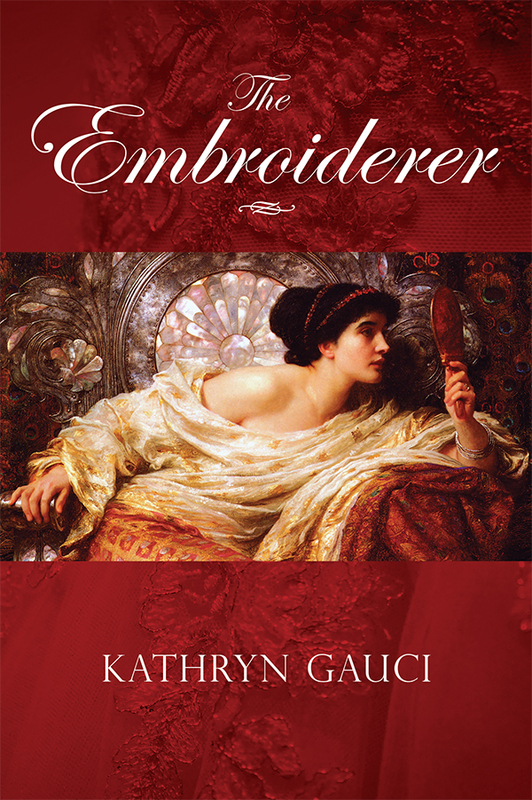 I’m very pleased to welcome Kathryn Gauci, author of the debut historical novel, The Embroiderer, which is already garnering great reviews. I received my copy of the book today and can’t wait to travel back in time with her characters. Welcome, Kathryn! What is your book’s genre/category? The Embroiderer is historical fiction. Please describe what the story/book is about. The Embroiderer is a sweeping saga of love and loss, hope and despair, and of the extraordinary courage of women in the face of adversity, set against the mosques and minarets of Asia Minor and the ruins of ancient Athens. In the spring of 1822, during one of the bloodiest massacres of The Greek War of Independence, a child is born to a woman of legendary beauty in the Byzantine Monastery of Nea Moni on the island of Chios. The subsequent decades of bitter struggle between Greeks and Turks simmer to a head when the Greek Army invades Smryna (modern day Izmir) in 1919. During this time, Dimitra Lamartine arrives in Smyrna and gains fame and fortune as an embroiderer to the elite of Ottoman society. However, it is her granddaughter, Sophia, a couturier in Constantinople, who takes the business to great heights, only to see their world come crashing down with the outbreak of The Balkan Wars, 1912-13.In 1922, Sophia begins a new life in Athens but the memory of a dire prophecy about a girl with flaming red hair once told to her by her grandmother begins to haunt her with devastating consequences when the Germans occupy Greece in 1941. The story unravels when Eleni Stephenson – an English woman living in London – is called to the bedside of her dying aunt in Athens in September, 1972. In a story that rips her world apart, Eleni discovers the chilling truth about her family’s dark past plunging her into the sensuous and evocative world of Orientalist art and Ottoman fashion, to the destructive forces of political intrigue, where families and friends are torn apart and where a belief in superstition simmers just below the surface. How did you come up with the title? During this period women in the Ottoman Empire led a cloistered existence and embroidery was one of the only areas in which a woman was encouraged to excel. A skilled embroiderer enhanced her chances of a good marriage as textiles were seen as an important part of a woman’s dowry. Whilst a great deal of high-quality embroidery was made either for the consumption of the Ottoman court or in the professional workshops of the Topkapi Palace, many women were able to supplement the family income through this work. What is the reason you wrote this book? This was a story I had to write. Whilst working as a carpet designer in Athens, 1972-78, I worked alongside refugees and their descendants from The Asia-Minor Catastrophe of 1922. In 1919, the Greek Army occupied Smyrna (Izmir) and fought a campaign to win back the land they had lost when Mehmet the Conqueror sacked Constantinople in 1453. For most Greeks, this was unmitigated disaster and they had long harboured a dream to unite those lands once inhabited by Greeks for over 2000 years. With the collapse of The Ottoman Empire after WWI, Greece finally seized the chance of taking back what she considered to be rightfully hers. Unfortunately, circumstances turned against them and they underestimated the steely determination of Mustafa Kemal, better known as Ataturk. The debacle resulted in thousands of deaths on both sides and the destruction by fire of one of the most important cities in Asia Minor – Smyrna. Over one and a half million Greeks poured into Greece, changing the social and political face of modern Greece forever. It was the harrowing stories told to me by these people and their descendants that resonated with me. When I did finally decide to write The Embroiderer, I realized that to give an insight into those years, I needed to go back in time, hence the story begins with the massacre at Chios in 1922, during the second year of The Greek War of Independence. What is your favorite part of writing? Transporting myself into another world and putting myself into someone else’s shoes. How would I have reacted if my world fell apart and I had to reinvent myself? The instinct for survival changes people and I believe you do things you never thought you would be capable of. What is the most challenging aspect of writing? Finding the right voice. The characters grew up in a different era and would have thought and spoken differently. And of course, putting the images and story in my imagination into words; something all authors face. Who are some of your favorite authors? Where do I start? Nikos Kazantzakis, Louis de Bernieres, Sarah Dunant, D.H. Lawrence, Orhan Pamuk, Khaled Hosseini. And I find myself reading more Indian authors these days – Rohinton Mistry, Vikram Seth, Padma Viswanathan. What authors or person(s) have influenced you? Perhaps all of the above for the wonderful imagery and storylines they create Favorite place to write? I have my own room surrounded by books. My desk faces French windows which open out onto a patio. When the sun streams though and I can hear the birds singing – and Australian birds are very noisy – I am in my element. Something personal about you people may be surprised to know? I am a homebody and love to cook. It’s relaxation for me, as is gardening. 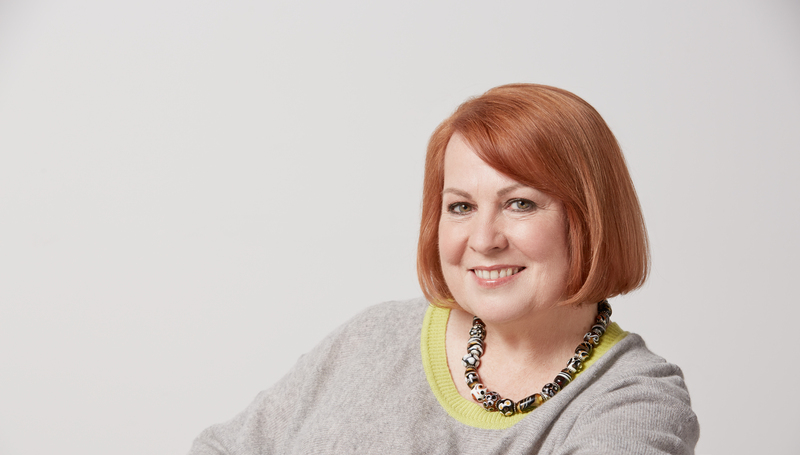 Any surprises or learning experiences with the publishing process It is a difficult area to break into, especially if your novel is set in a place and time that is unfamiliar to many agents. It is also important to do your homework on the people who are eventually going to publish you. You only get one chance at your novel and you want it to be top quality. Looking back, what did you do right that helped you with this book? I took advice from the professionals. Two people advised me to cut the words down – by a considerable amount. It took me six months to do it, but the result was a much tighter and fast-paced book, and it didn’t affect the storyline. Any advice for writers looking to get published? Do the very best you can. Aim for a quality manuscript. Believe in yourself and be determined. Website? www.kathryngauci.com Where can we find your book? On line through the publishers – SilverWood Books and all online retailers and good bookstores. What’s next for you? I have started another novel set in France during WWII. This story emerged whilst researching The Embroiderer. I also intend to write two more novels in my “Greek Trilogy”. Both will be set in a different place and era and will center on my favourite subject – art. Thank you for a wonderful interview, Kathryn. Best of luck with The Embroiderer! I had a great plan this month that fizzled out. Has that ever happened to you? You have a well-thought out plan, you’re committed to this plan, and make every attempt to make this plan happen…and then, it doesn’t happen. It can’t happen. The thing that has caused you to throw your hands up in despair is valid and important–a family crisis. You can’t see your way through, and certainly must be present to support your loving family. I hate giving up; it’s not in my DNA, but this month? I gave up for my sanity, and it was the right thing to do for my family. My plan was to participate in NaNoWriMo 2015 and finish my second novel. I signed up, created my page, and had two very successful writing days, and then, life happened. Normally, I’m not easily deterred from writing and journaling every day. I may not have huge blocks of time every day to write, but I take advantage of the time I have. I’m a fan of writing after 9 pm, especially when the house and neighborhood is quiet, but that didn’t work this time. On Sunday, I drove to support my family in Virginia. When I arrived, I realized this wasn’t an easy fix, and there was no denying I’d done the right thing in driving down. If I’m anything, I’m loyal to my family to a fault. We shall see what comes of this situation. It will be what it will be. On a positive note, driving to Northern Virginia put me closer to my destination that week–Pennsylvania. On Tuesday, I met my fabulous editor, Ally, who accompanied me to my first ever book reading at the famous KGB Bar in New York City on Wednesday evening. Historical Fiction Night was hosted by the equally fabulous Monique, founder of At The Inkwell, and the readings were fantastic! I read last, which was great because I had a small case of nerves, but I needn’t have worried. It was a wonderful experience, and I can’t wait to read again. At the end of the evening, I enjoyed chatting with the other historical fiction authors: Rachel Kambury, George Lerner, and Kimberly Elkins, and many lovely people who came up to me with kind words and questions about the book launch of A Decent Woman this winter. So, last week was a mixed bag of blessings, but I’m moving forward with final edits this weekend. Many of my lovely beta readers have emailed their catches, comments and suggestions, and I’m working on them now. The reviews for A Decent Woman are simply amazing, and that is very good news! I’m grateful and thankful for the time and attention my advanced readers have given my book–a precious gift to an author.